Beef jerky, anyone? Fruit roll-ups? How about a snack of dried peas? You can have all these with a food dehydrator. Preserving and dehydrating food does not only bring out a stronger flavor, but also, it can pack in the various vitamins and minerals in your meals. Moreover, it is a great way to lengthen the shelf life of your food.
. This food dehydrator claims to be a fast and efficient dehydrator for all kinds of meat, fruits, and vegetables. We are going to list down its features, in order to determine if there is something unique with this dehydrator, that will make it stand out from the rest. If you have an all-white kitchen, you will not spot this dehydrator because it is also color white. Further, it just looks like a rice cooker, so it does not really take too much space on your counter. At the same time, it will not look out of place since it looks like any regular kitchen equipment. It can dry out food in just hours, due to its power of 1000 watts. It has a drying system that is called Converga-Flow. What this does is, it rapidly pushes air that is heated towards all of the trays. Its thermostat is adjustable, with the minimum and maximum setting of 95°F – 160°F. There are eight trays that are also dishwasher safe. The machine can expand to accommodate 30 trays. It includes eight clean-a-screens, eight sheets of fruit roll-ups, one recipe book, and one pack of jerky spice that is cured. It works quietly, due to its motor that has 2400 RPM. The fan also dries the food fast, because its size is 4 1/2 inches. It was specifically designed not to be transparent, so as to block any light, which further helps in retaining the nutrients of the food. 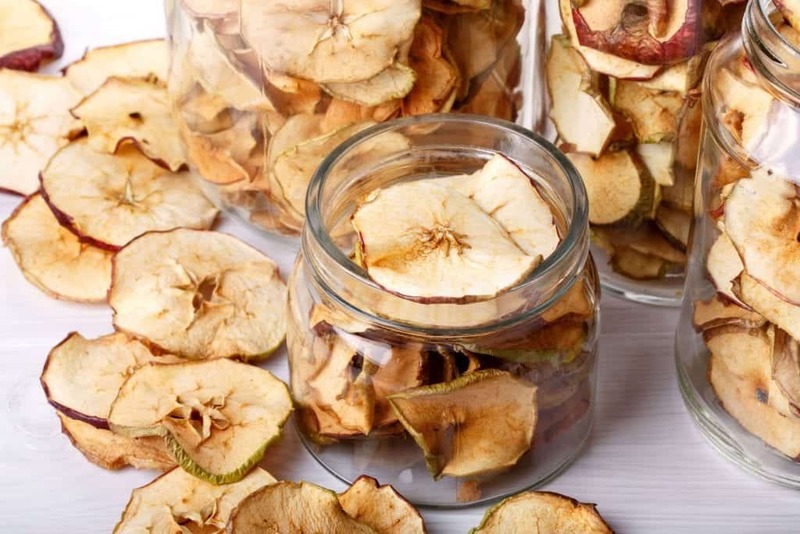 It comes with a lot of other inclusions that help you improve the dehydrating process. It is easy to use and at the same time, easy to assemble. It is also easy to clean; you can just leave everything in a dishwasher. When you dehydrate meat, this is a good option as the meat is still juicy after being dehydrated for hours. It enhances the flavor of meat, fruits, and vegetables. The heat is consistent all throughout the trays. The fan also speeds up the dehydration time. The instruction manual is really handy as the time indication in the recipes is catered to the power of this specific dehydrator. Your beef jerky will come out good, tasty, and crispy every. single. time. When you have not used it for a long time, the controls and indicator lights might not work smoothly or not work at all. The motor of the machine is extremely loud. When this machine is in use, everyone in the house will know it, because it rattles so much. The base plate is not that sturdy. Once you break it in even a small way, the machine will deteriorate eventually. 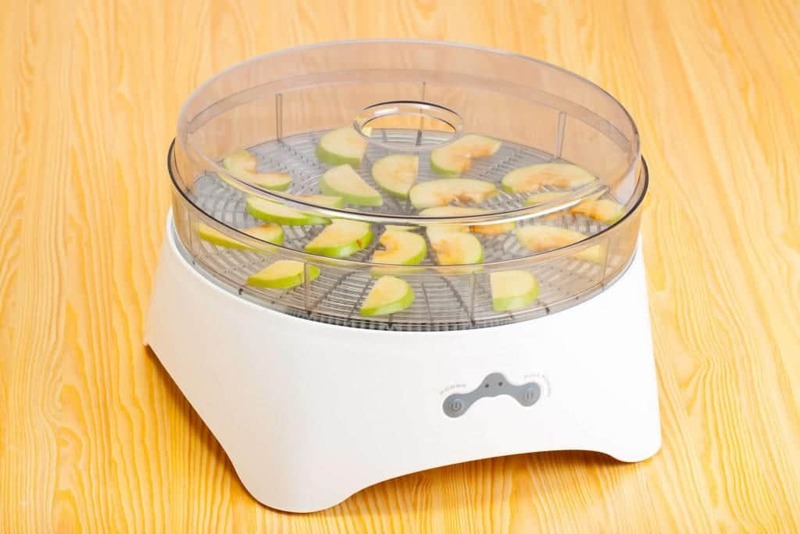 The Nesco Gardenmaster Food Dehydrator is an expandable dehydrator which is perfect for meats, fruits, and vegetables. Its initial capacity is just eight trays, but it can expand to accommodate up to 30 trays. Its best feature is, it can regulate and maintain the same level of heat all throughout the trays. This feature is very important since, for your dehydrated food to come out nice, they all should have been exposed to consistent temperatures. The inclusions that come with this machine are also very helpful for you to create specific recipes, such as roll-ups or beef jerky. Furthermore, it is easy to clean, as you only have to chuck it in the dishwasher, and it is easy to set up. You need not have a lot of knowledge in dehydrating food, to have a successful run on this machine. All you need to do is to set it at the right temperature and leave it be. The Gourmia Food Dehydrator and the Nesco Gardenmaster Food Dehydrator both look the same that they might be mistaken as being the other. However, there are drastic differences in their functions and features. 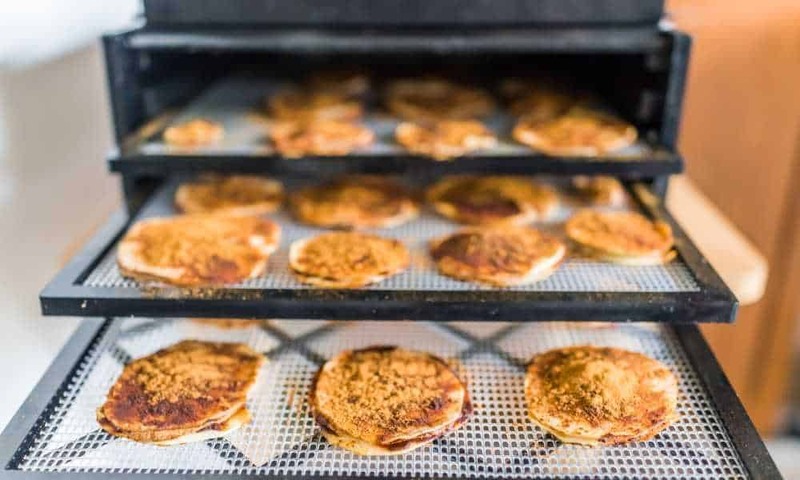 For the Gourmia Food Dehydrator it only has five trays, as compared with the Nesco Gardenmaster Food Dehydrator that can house eight trays, and when expanded, 30 trays. The former also does not have the same power as the latter, because the latter is faster in completing the dehydration process. The Gourmia cannot produce fruit leather, as it does not come with meshes or solid trays. On the other hand, the Nesco one can produce a variety of dehydrated dishes, with just the use of its basic trays. is a good food dehydrator for beginners. 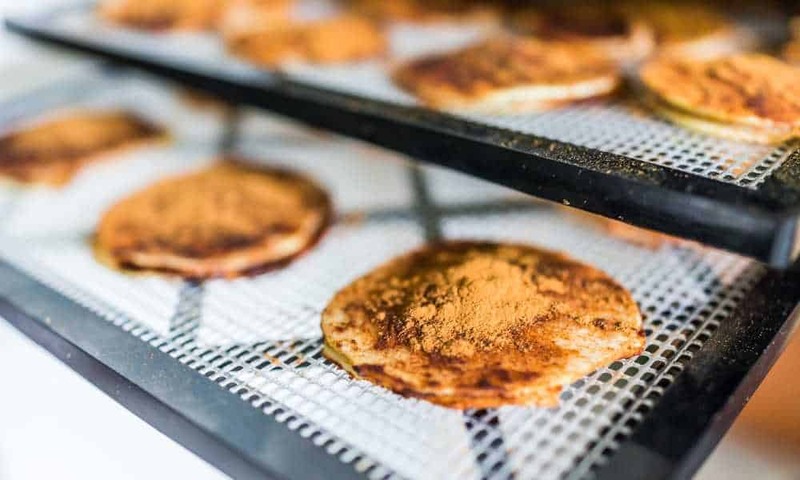 It can cater to a lot of your dehydrating needs, whether you are just preserving food, or following a dehydration recipe. Additionally, it is very easy to use and easy to set up. If you are new to dehydrating food, this machine is a good option. However, if you are already a professional, the disadvantages of using this product, might prove to be burdensome. Do not get us wrong, it still works great, but for experienced “dehydrators,” the negative things about this machine, might just be too much to bear. All in all, it is a good food dehydrator that does its job. 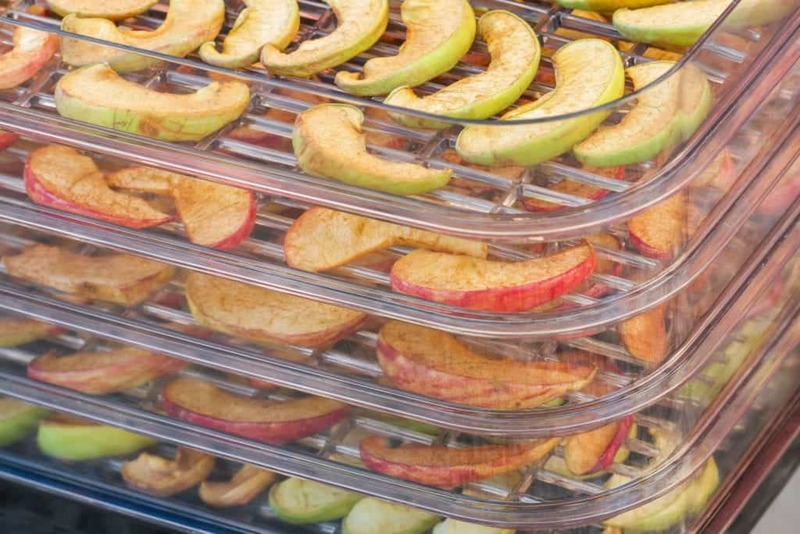 Further, it pushes its boundaries by being able to put in 30 additional trays, which will save you money in the long run as you can dehydrate a lot of type of foods in one go. Definitely, this dehydrator sets the standard for beginner type of food dehydrators.